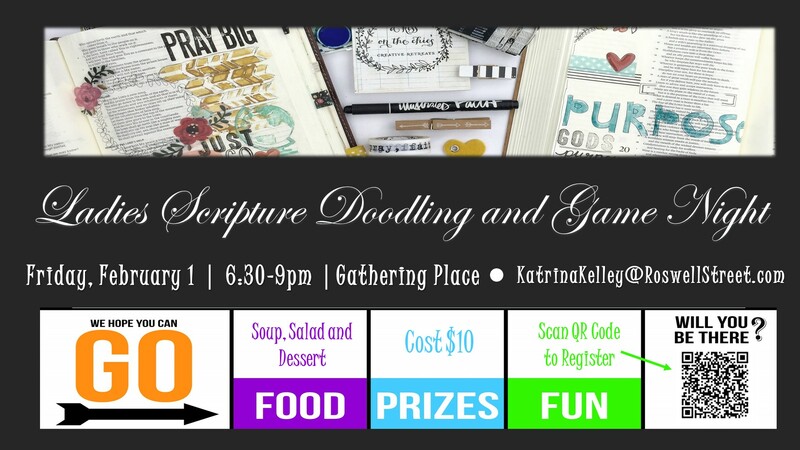 Come join us for scripture doodling, games, prizes, fellowship and lots of fun! Dinner will be soup, salad and dessert. Pay online, at the church or at the door.